It's been a lovely week here in the Wasatch Front! Warm temperatures, balmy breezes and all of the sudden...leaves on the trees! It's like magic the way the trees go from pink and white blossoms to glorious green overnight! I'm loving it! First up, a sneak-peek beach house tour shared by House by Holly. 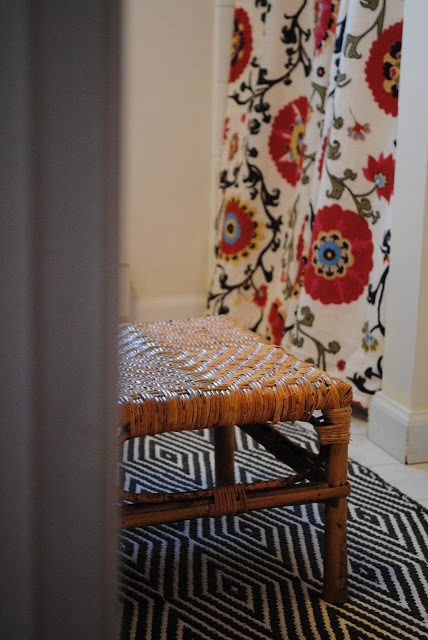 I especially love this little peek into the bathroom. What beautiful colors! You all know I love IKEA! 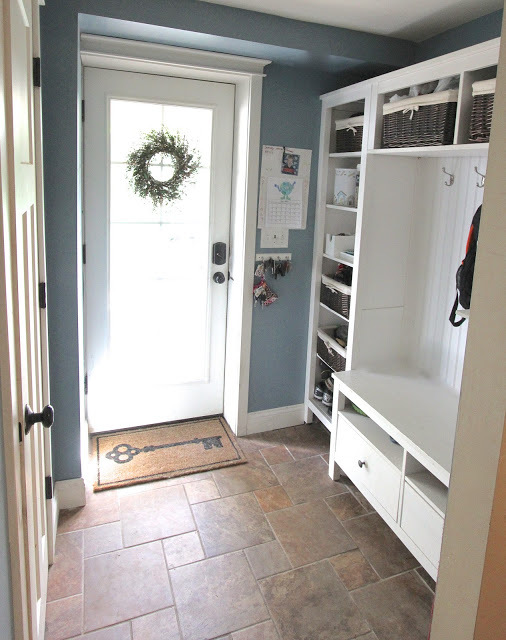 Well, check out this amazing Hemnes-turned-mudroom shared by Golden Boys and Me. What does this have to do with summer, you might ask? Can't you just picture this adorable space filled with beach bags, towels and flip flops?? Oh yeah. And finally, I love this scallop art shared by This Yellow House. It reminds me of the beach and blue waves. (I really need to get to the beach this summer.) 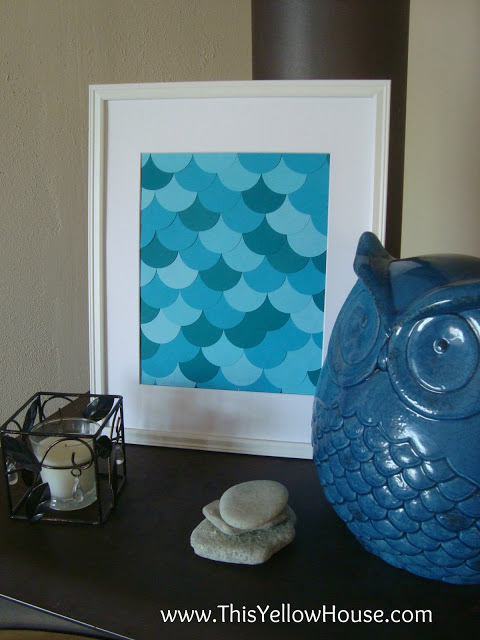 Hurry on over to find a tutorial on how to make this fun art! Love your blog. Love your parties. Have a great weekend! Oh! That mushroom is amazing! Thanks for the great party! Thank you for the party! I know what you mean about the leaves - it's "eye relief" to see the green after a long winter! Thanks so much for hosting, Wendy! I hope you're enjoying the beautiful spring weather. Have a great weekend! Thanks for the featuring our mudroom!! Love, the fabric in the first feature, too.